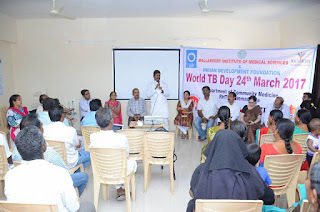 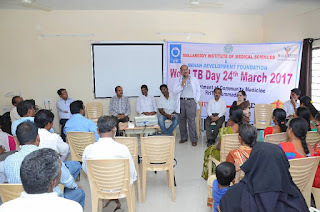 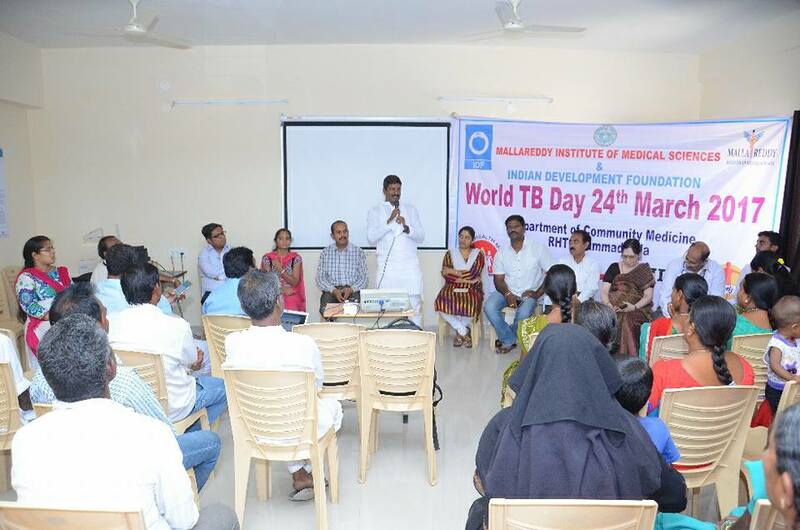 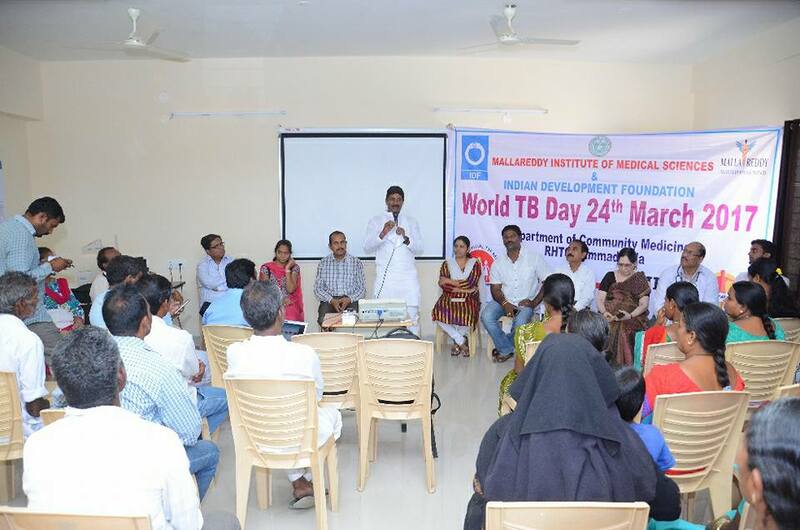 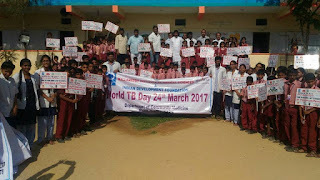 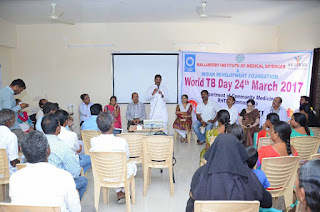 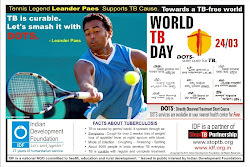 World TB Day Rally 2017 in Gummidala village. 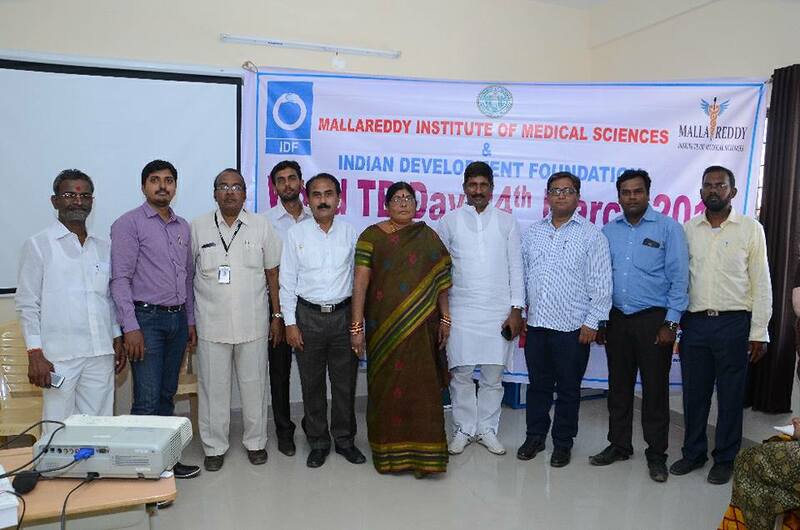 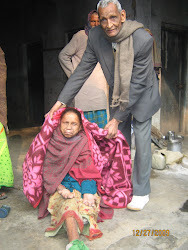 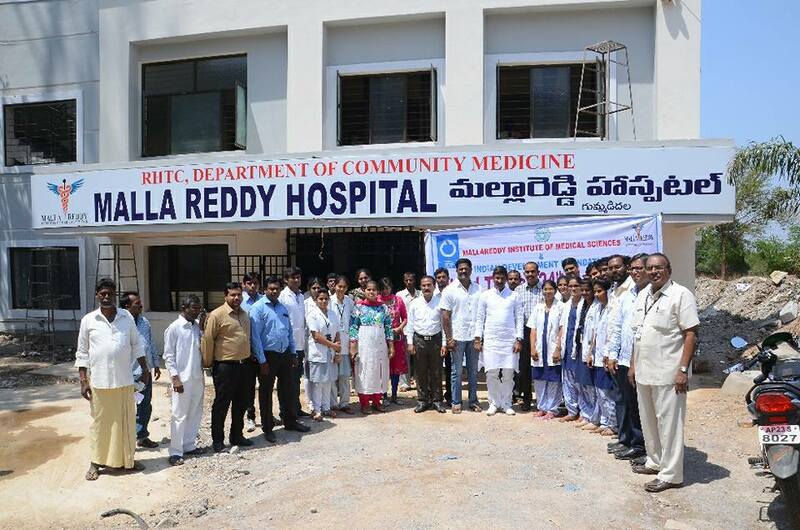 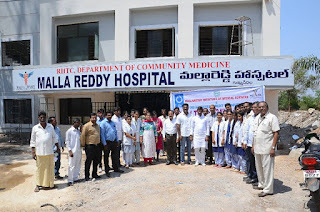 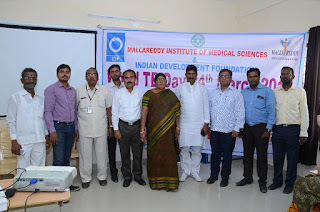 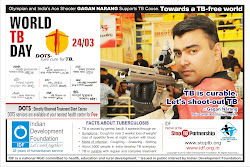 IDF In association with Malla Reddy Institute of Medical Sciences conducted the program in Gummadidala village, Sangareddy district, Telangana. 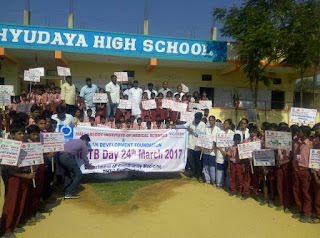 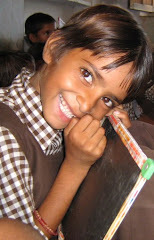 Mr. Surender Reddy, Sarpanch, Gummadidala village, HoD Dr. Prashant, Dr. Zara, Dr. Prasad, Mr. Sanjay Ram and Mr.John Augustine, Abhyudaya High school children, Self Help Group women, volunteers, villagers participated in meeting and Rally.